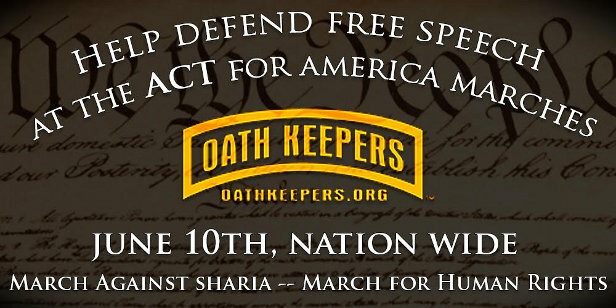 ACT for America has asked Oath Keepers to assist with security on June 10, 2017 at all of their "March Against Sharia - March for Human Rights" events nationwide, and once again we are answering the call to defend free speech against those who would use terrorist violence or the threat of violence to shut it down. Our New York chapter had already stepped up to help provide security for the New York City event on June 10, and then the national staff of ACT for America contacted Oath Keepers national leadership and asked us to do the same nationwide. 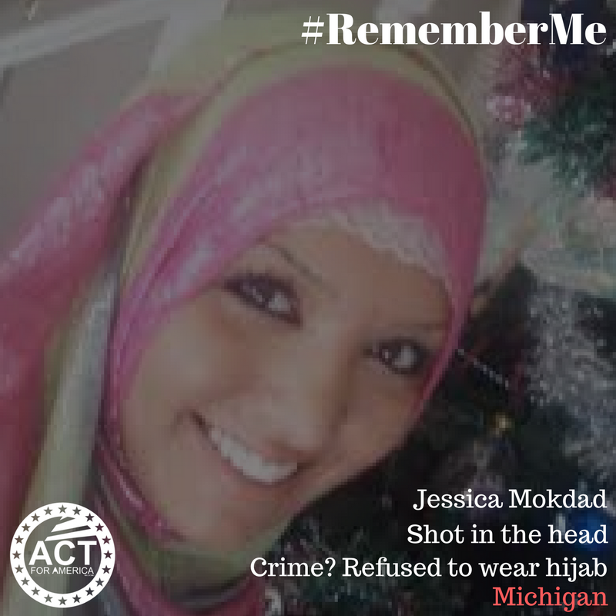 The ACT staff informed us that they had numerous speakers who feared for their safety because they had taken a hard stance against Sharia law and specifically against female genital mutilation, honor killings, persecution of homosexuals, etc. 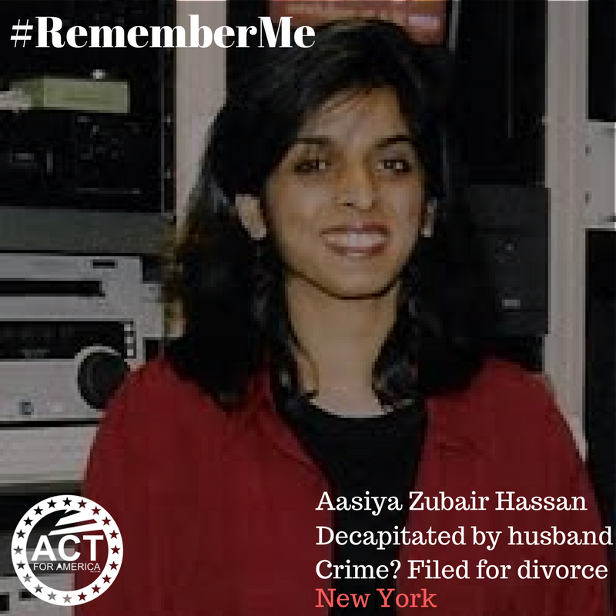 Some of the speakers are moderate Muslims or are former Muslims (known as "apostates"), including at least one who was a victim of female genital mutilation. Others are Christians who suffered persecution in Sharia dominated Muslim nations. Because of their backgrounds and their current activism, these people are at great risk of terrorism from radical Islamacists who declare that they must be killed because of their acts of "blasphemy." And it goes without saying that the audience listening to their speeches will also be at risk. Remember, in 2015 two radical Islamacists traveled all the way from Phoenix, AZ to Garland, Texas to commit a terrorist attack on a "Draw Mohamed" contest, pulling out assault rifles to kill attendees. Thankfully an alert police officer reacted decisively and put a stop to their attack before it barely got started, and nobody was killed but the two terrorists. I call on the leadership of all Oath Keepers chapters with an ACT event in their state to step up strong, contact the event organizer, and help in every way possible with security, to include making these events a priority over any other activities in/by their local or state chapters, and encouraging as many of our well-trained police and military veterans as possible to assist with security (as well as the essential communications, intelligence, and medical personnel). All chapters with organized CPT teams need to commit those teams to these events. I also call on all Oath Keepers leaders to encourage their chapter members to attend, and to reach out to other local patriotic groups and invite them to participate as well. If there is not an event in your state, please do your best to assist at an event in a nearby state. Remember, nearly anyone can help in some way, regardless of your age or physical limitations. Even if it is just watching the crowd for suspicious activity (extra eyes and ears on scene help make it harder for terrorists to infiltrate and carry out attacks), filming, or monitoring a radio, etc., we can find something for you to help with. If you cannot make it to help us with security, please donate to help us cover the costs of this nationwide operation. Please feel free to repost the above banner and link back to this page. If you repost the ACT for America banner, be sure to link it to their site (and please consider a donation to them as well). If you are part of an established Oath Keepers chapter or CPT, contact your local or state leadership. They should be on this. If for any reason they are not, please let us know at actdefense@oathkeepers.org and we will take care of you. If you are an individual without an active Oath Keepers chapter near you, or the leader of another group, that would like to volunteer to help Oath Keepers provide security at one of these ACT for America events on June 10 in a particular state, please send an email to the designated state chapter email for that state, such as az@oathkeepers.org, ca@oathkeepers.org, wa@oathkeepers.org, etc (just plug in the standard postal abbreviation for the state or pull it from this list). Please put "VOLUNTEER FOR ACT JUNE 10 EVENT in [enter town], [enter state], such as "VOLUNTEER FOR ACT JUNE 10 EVENT in San Bernardino, CA." When you send that email, please also cc: actdefense@oathkeepers.org. Please let them/us know where you are from, whether you are an Oath Keepers member, and if so, your approximate join date. Also please include links to your social media pages, and please understand that they will need to vet you to some degree (how detailed and involved that will be will depend on what you are offering to assist with/qualified to do). Priority will be given to Oath Keepers members, but even if you are not a member they will do their best to find a job for you if possible. Note that we do not accept assistance from convicted felons or from anyone who advocates the overthrow of the U.S. government or discrimination based on race, color, creed, or nation of origin (as our national bylaws Section 8.02 makes very clear). We are looking for quiet professionals who are level headed, calm under pressure, and competent who understand that this mission is about protecting free speech, and supporting human rights. The NY Oath Keepers chapter has specifically requested that volunteers who want to help at the NYC event contact NY Oath Keepers VP Frank Morganthaler at (914) 673-5220. He also answers the ny@oathkeepers.org email. In addition to Oath Keepers, Bikers for Trump, Two Million Bikers, American Civil Defense, various Three Percenter organizations, The Proud Boys, and other patriotic groups are also volunteering to help with security at these events, so expect to work with them as a "combined arms" effort, just as we have successfully done numerous times now at free speech rallies and marches across the nation, such as in Berkeley, CA (twice); Boston, MA; Harrisburg, PA; Portland, OR (Sunday, June 4), etc. Because we have many very well trained police and military veterans, Oath Keepers has a particularly valuable role to play as LEO liaisons (with our police members helping to ensure coordination and clear communication with local and federal LEOs), critical event security advisors (we have now successfully defended multiple at-risk public events), personal security detail providers for high profile/at risk speakers, and security team leadership and coordination. As advisors to event organizers/team leaders, we work very well with other groups and our track record shows that together, we can get it done right. We are honored that ACT for America recognizes this and has asked for our help. We we will do our utmost to keep everyone safe on June 10. ACT for America encourages our well trained and vetted members/security teams to come armed wherever you can do so legally, but has specifically asked that volunteer security carry concealed rather than open-carry, even where open-carry is legal. They prefer this so their events do not present too militaristic an image. If there is a particular, serious need for open carry or for having long arms (such as shotguns) available, we will address it with ACT for America's national staff and the local event organizer. In more prohibitive environments, such as CA, Il, CT, NY, etc, our current and retired police officers will be all the more important given their ability to carry concealed under LEOSA and in-state privileges for LEOs. If in doubt, check the state and local laws carefully and also coordinate with us first before carrying. Likewise, they prefer you not wear camouflage clothing, and they are asking that you avoid wearing all black (which is what Antifa tends to wear), not wear masks, and also that you not wear brown shirts, to help avoid giving the leftist media an easy way to attack us all as somehow being fascists just because of the color of our clothing. Oath Keepers members are encouraged to wear their Oath Keepers hats and shirts, with our standard being tan or olive pants, with one of our black with gold tab polo or T shirts, and/or an Oath Keepers hat (unless you are tasked with being more low-key to blend in with the crowd). Please wear solid colors rather than cammo. We will have additional ways of making it easy for police to identify our security teams, to be disclosed only to vetted team members on the day of the event. We strongly advise you to wear body armor (as concealed or low profile as you can manage). Because of the nature of these events, we consider the threat of deadly force attack to be greater on June 10 than what we have recently faced with Antifa/communists. Such an attack could come in the form of an IED (suicide vest - as in Manchester -, vehicle born, or left in a backpack or purse, etc), active shooter(s), or using a vehicle as a ramming weapon. We have seen all three methods used in recent attacks in Europe, and we have seen IEDs and numerous active shooter incidents in the U.S. by radical jihadists (Boston bombing, NYC and NJ, and shootings at Ft. Hood; Chateenooga, TN; Garland, TX; San Bernardino, CA; Orlando, FL, etc.). Please take this very seriously and bring your "A" game. We expect the local and federal LEOs to be extremely proactive and effective at these events, and our focus will be on backing them up and assisting in any way we can, while also providing close protection for speakers and staff, as well as helping to secure the audience. We will be sure the police can easily identify our security team members (and those of other groups as well), so we don't add to their problems. Antifa/Black Block type groups will be targeting these events for their usual antics, so our standard advice on attending such events still applies (i.e. wearing a helmet, body armor (at least soft), bringing goggles, gloves, etc. We will update with more details within the next few days. Corner of Stevens Creek Blvd. and Winchester Ave.
To get involved in a city near you, please contact Scott Presler at 202-601-4169 or info@actforamerica.us.